Livent says customers in China are unwilling to make firm commitments for price and volume at levels that are acceptable to the miner. 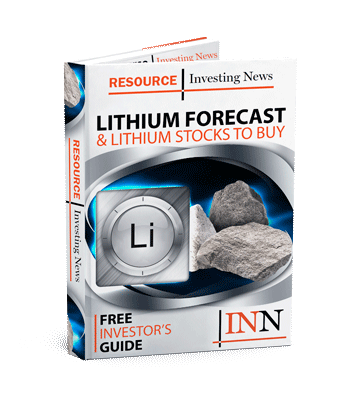 Shares of lithium producer Livent (NYSE:LTHM) fell more than 6 percent on Tuesday (February 12) after the company said it forecasts weaker Chinese lithium demand during 2019. The Philadelphia-based company said the results of year-end negotiations with customers outside of China for 2019 were in-line with expectations, with the majority of these customers committed to prices in-line with or higher-than 2018. But negotiations with Chinese customers were a different story. “Chinese economic conditions weakened very late in 2018 and our lithium hydroxide customers in China were unwilling to make firm commitments for price and volume at levels that were acceptable to us,” said Paul Graves, president and chief executive officer of Livent. Speaking about the company’s results on a conference call with investors and analysts, Graves said the trepidation likely is due to a mix of concerns around macroeconomic uncertainty, China’s electric vehicle subsidy policy and broader oversupply worries hitting the lithium market. However, Livent remains positive on the fundamental drivers of lithium demand. “In particular, electric vehicle sales that are consistently exceeding even the most bullish forecasts, as well as battery technology developments that are increasingly favoring lithium hydroxide,” Graves added. On Monday (February 11), Livent, which spun off FMC (NYSE:FMC) last October, released its quarterly and full-year results, showing an increase in revenue of 27 percent to US$430 million and a 45 percent jump in earnings before interest, tax, depreciation and amortization to $183 million compared to 2017. Last year, costs were almost US$17 million higher than in 2017. The New York-listed miner expects them to be even higher this year as the company works on the expansion of its Argentina lithium production facilities, which is estimated to be completed by mid-2020. Graves said the company’s strategy remains unchanged, including delivering plans to triple carbonate production by the end of 2025 and diversifying sources of supply. Shares of Livent were trading down 6.46 percent in New York at US$12.31 on Tuesday.